The year of the Yin Earth Pig started on Feb 5, 2019, so what might this mean for you and your health this year? Yin and Yang, and the 5 Phases play key roles in Chinese Medicine. Yin is often described as the shadow side of the mountain and is a cooling, calming, moistening energy. Yang is described as the sunny side of the mountain and is a warming, active, drying energy. The 5 phases (Fire, Earth, Metal, Water and Wood) have many correspondences within the body, the emotions and the environment. These phases all work together to nourish one another or keep each other in check. From this perspective, the Pig corresponds with the Water energy and the year 2019 radiates the energy of Earth. These two energies are in opposition but as it is a yin year the opposition will be minor. Earth and water make mud so there may be a lack of clarity in thinking this year or it may feel too difficult to find the motivation to do things, but remember that the beautiful lotus grows from the mud so try to find inspiration in your challenges. 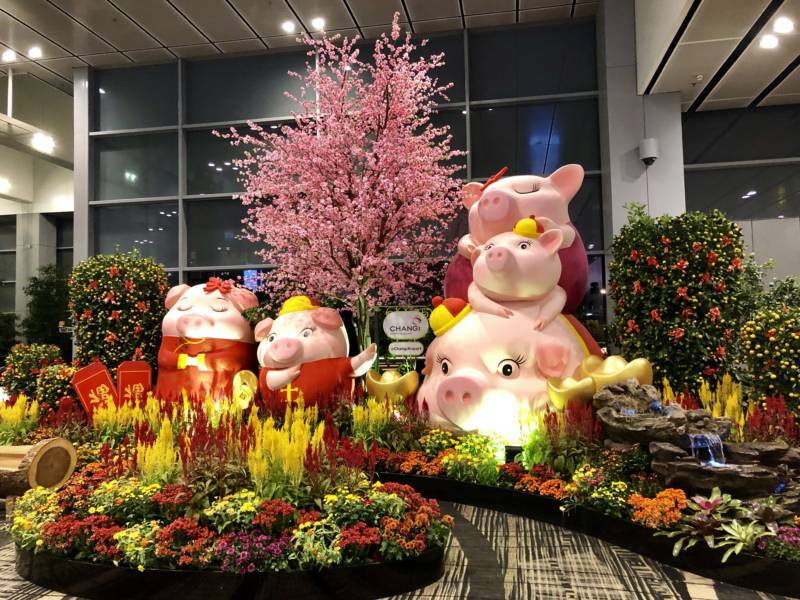 As the Pig is the final animal in the cycle of the Chinese zodiac the focus this year will be around completion & conclusions, it’s time to tie up loose ends. You can make plans for new projects or expansions but don’t start them until next year’s new cycle that starts with the Rat. As a water element, the Pig rules the Kidney and Bladder organs so watch out for urinary tract infections and be sure to stay well hydrated with good quality spring or filtered water. With the current heat we are experiencing in Sydney be sure to eat watermelon & drink peppermint tea to help you stay cool and hydrated. In Chinese medicine, the Kidneys also rule the lower back, knees, teeth, and libido. To best look after you Kidneys this year you can eat lots of dark foods like blueberries, walnuts, black sesame seeds, black beans and kidney beans and get enough rest & sleep so you’re not living on adrenalin. If your health needs attention then remember that Acupuncture and Chinese herbs can help with urinary tract infections, aches and pains, as well as libido issues, so make an appointment with your local practitioner today. The pig is a rather sedentary creature so it’s also important to keep up some light exercise this year such as Qi Gong, Tai Chi, Yoga, or Pilates. Gentle stretches will help strengthen your lower back and knees while keeping your circulation flowing, which helps with libido. 2019 is all about Earth energy which rules the Spleen, Stomach and Pancreas in Chinese medicine. Earth energy is all about nourishment, nourishing yourself and others, physically, mentally and emotionally. Watch out for digestive disorders this year as well as haemorrhoids or varicose veins. It will be best to eat more cooked food and less cold, raw food so your digestive system doesn’t need to work so hard to digest. Eating regular meals and avoiding grazing or snacking is also beneficial for your digestive system. You might find that you gain a little weight this year as both the yin and water element amplify the damp. Eating well and getting regular exercise will help you avoid this. The best foods to nourish your earth energy are the sweet orange vegetables such as pumpkin, sweet potato, and carrots, for example. When winter comes you can add some ginger, cinnamon or cardamom to your cooking to help keep your digestive fire burning. Warm drinks, soups and stews are also good winter foods. If your digestion needs a boost or you are looking to lose weight give your local practitioner of Chinese medicine a call. Worry (earth) & fear (water) may be the primary emotions you’ll be working with this year. Remember that the gift of fear is that it stops you so that you can gather your resources, take a deep breath, & while carefully listening to your intuition you can determine your next step. When you are feeling worried it’s time to ground yourself, so time in nature, breathing deeply, will help as will making sure that you are well nourished and well rested. Let your family nurture you for a change and trust that they can look after themselves for a while. In this YIN year, you may find that reconnecting with your inner feminine energy will help you to go with the flow more easily. This is a year to be rather than do. Its time to rest, relax, & practice gentleness with yourself and others. This is the year to enjoy life and find contentment, be like a pig in mud. This time of rest will help you build your energy for next years new 12 year cycle.